The long shiny fibers at the top of your ears of corn are called corn silk. 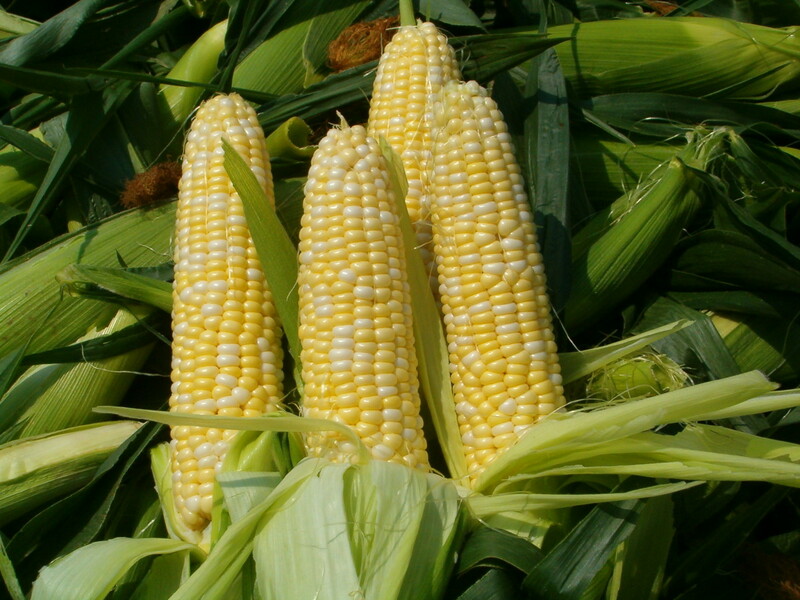 Interesting fact: There is one strand of corn silk for every corn kernel on the ear of corn. Each one is responsible to drawing food into the kernel it's connected to. These little babies are packed full of awesome nutrients, and yet everyone just throws them away once they've got their corn cob out. As we were shucking corn this week to can it, we had tons of husks, and silk, along with our cobs. We've been working on not having any food waste at our house, but using every bit that we could from the food that we purchased or grew. It was time to figure out how to use this delicate part of the corn. With the husks and cobs, I made corn broth, and with the leaves that we could keep intact, we made tamales. It turns out that corn silk is actually made into corn silk capsules and sold at the store as vitamins. This I did not know until this morning. 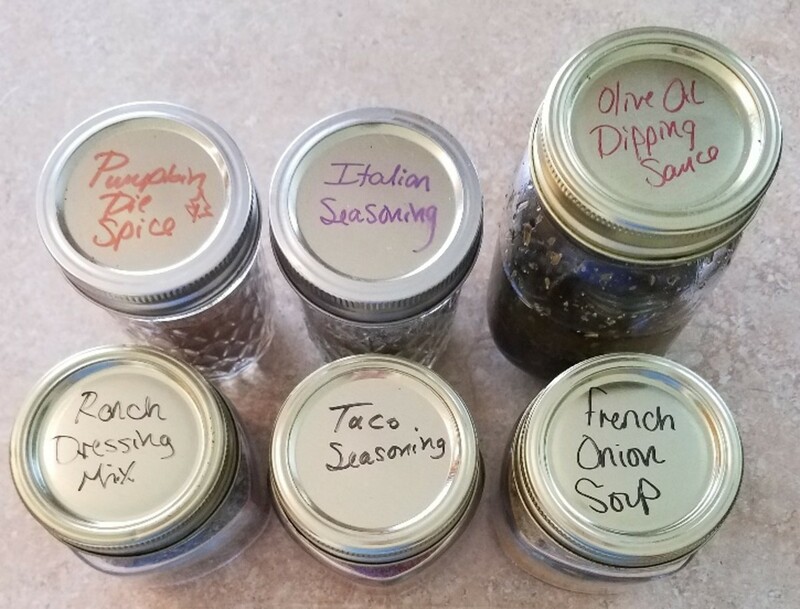 I happened to find an article that told me how it could be dried and made into a spice to be added to your recipes, just like any of your other spices. There was no recipe for me to follow, but it sounded like it was worth a shot. I hated to just toss it. 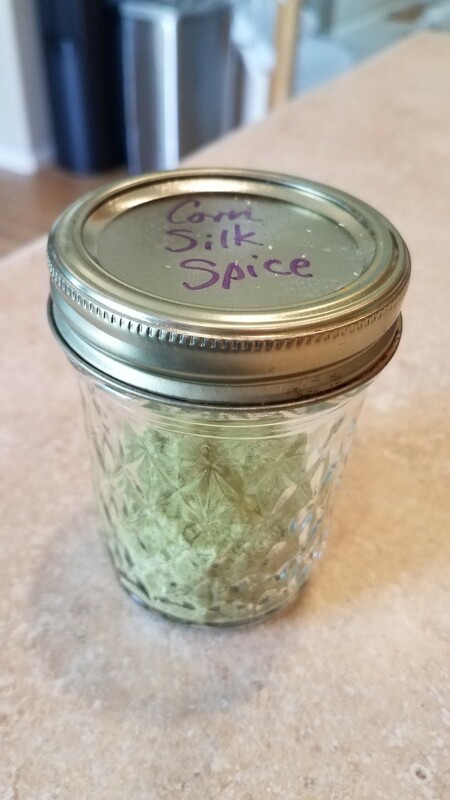 So that's how Corn Silk Spice got started in the Van Ness household. I now have a little jar of it in my spice cabinet alongside my flaxseed, wheat bran and chia seeds, to be tossed in anywhere that seemed appropriate. 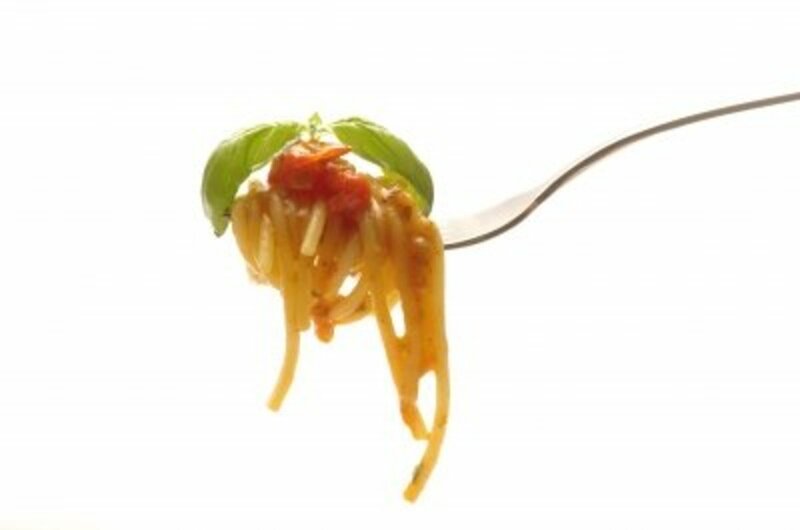 Now you can benefit too, as now youw ill have a recipe to follow; the only one on the internet it seems. I hope you enjoy it! Let's see how to do it yourself. 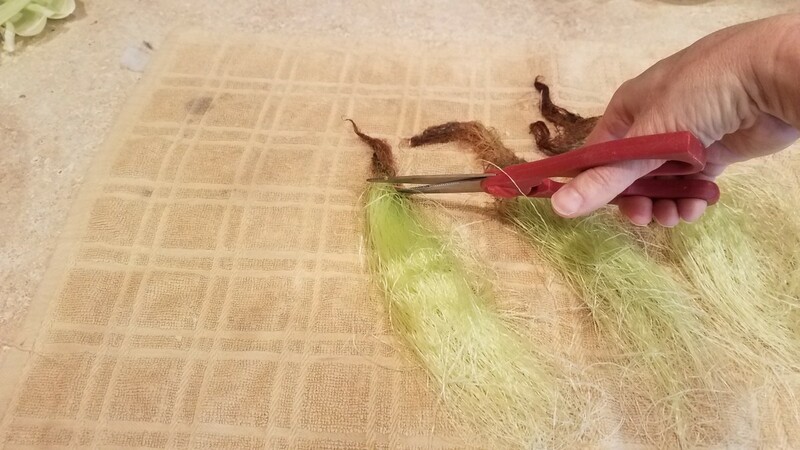 To gather the silk from your corn cobs, it's best to carefully remove all of the leaves of the husk surrounding the corn cob without disturbing the long shiny white fibers of silk on the inside. 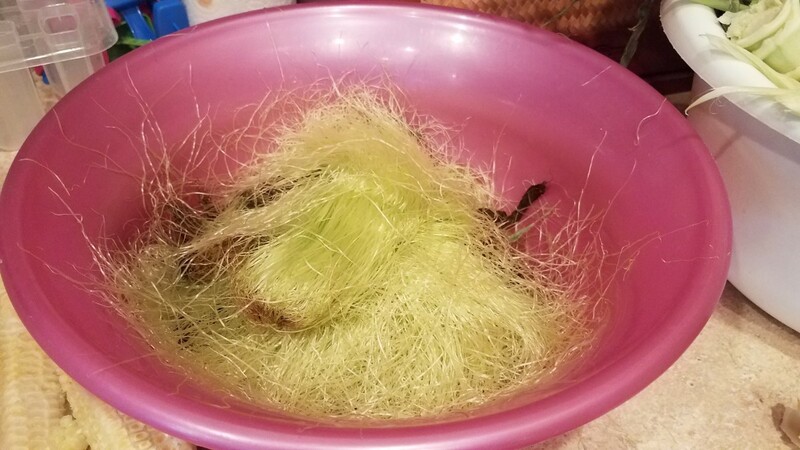 Once all of the leaves have been removed, you can grip the bundle of silk at the top with one hand and the corn cob with the other, and pull gently to separate them. 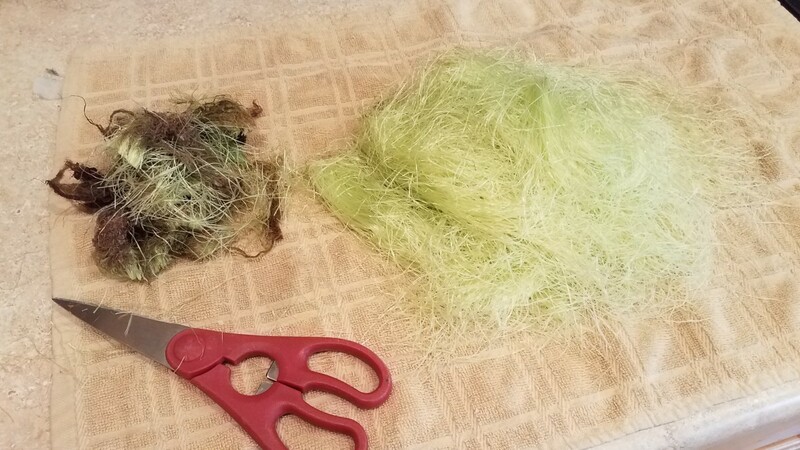 Pull off any additional fibers and place them aside with your bundles. When you're ready to make your spice, start by cutting off the brown sticky tops from each of your bundles. 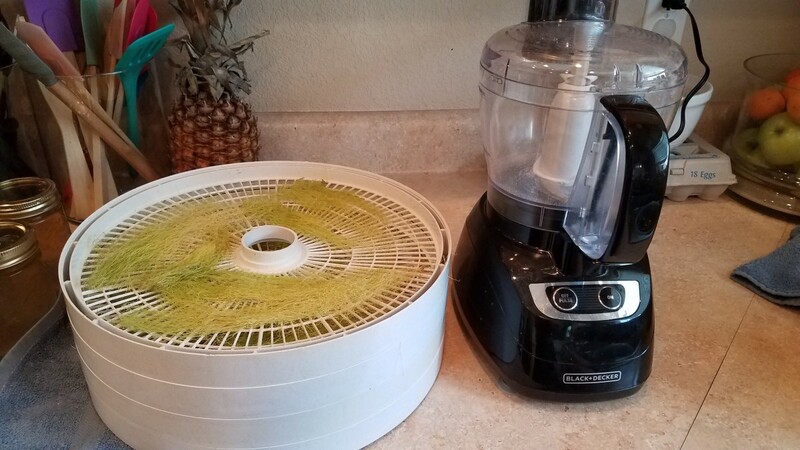 Set your dehydrator to fruit and vegetables and turn it on. Dry your silk for as long as needed until it is no longer soft and wet; at least 24 hours. 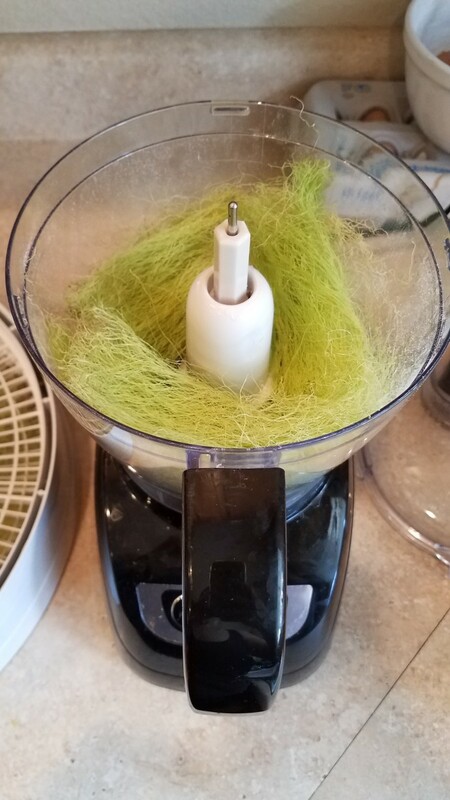 When dry, transfer your dried bundles to the bucket of your food processor, and process down as fine as possible. Pour into a glass jar, label the lid and seal. Your spice should last indefinitely. As I shucked the corn, I separated out all of the silk into its own bowl. When you're ready to use your silk, lay each bundle out on a towel. 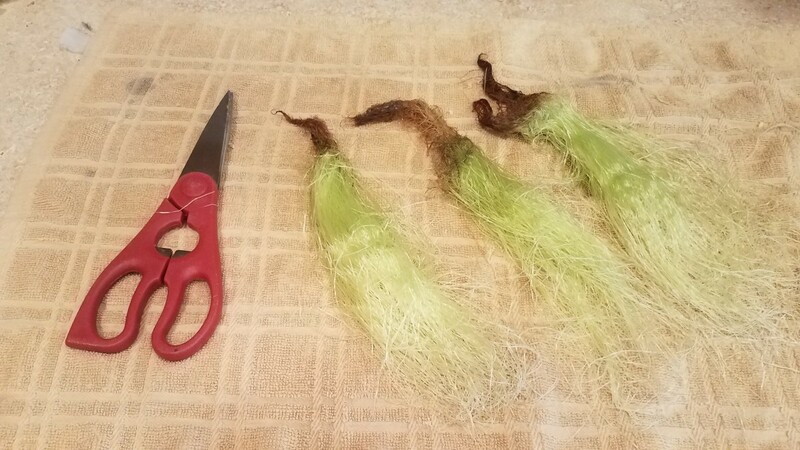 Cut the brown, sticky ends off. And what you're left with is just good silk to dehydrate. 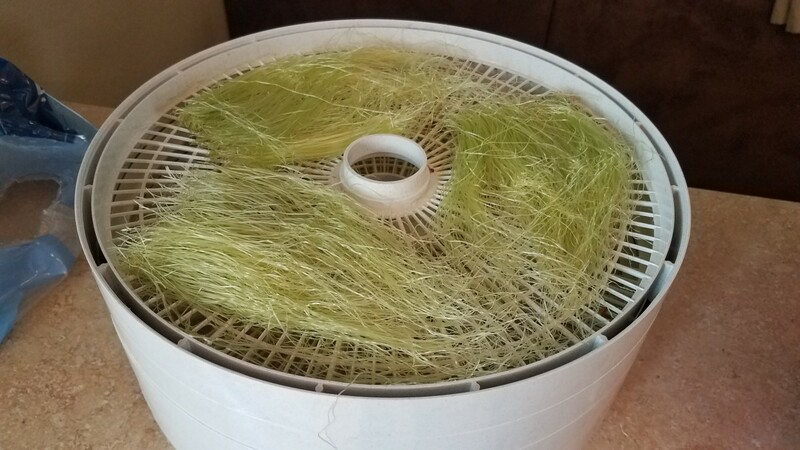 I have two different dehydrators. 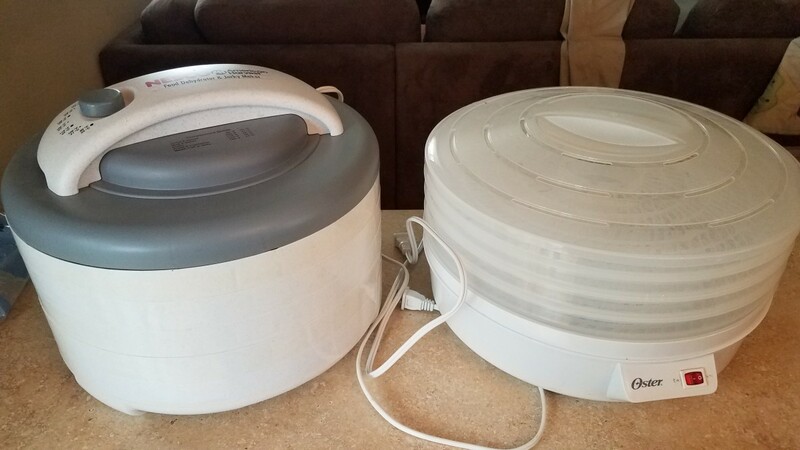 One jut turns on, and one has different settings for what you're dehydrating. Lay out your silk on the dehydrator trays. 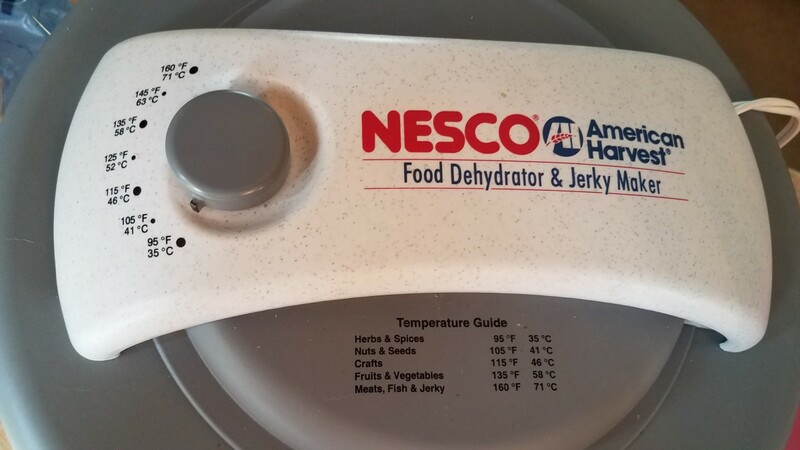 Either turn on or set your dehydrator to fruit and vegetables and then turn on. Dry for at least 24 hours until your silk is no longer wet. When it's dry, it's time to process it. 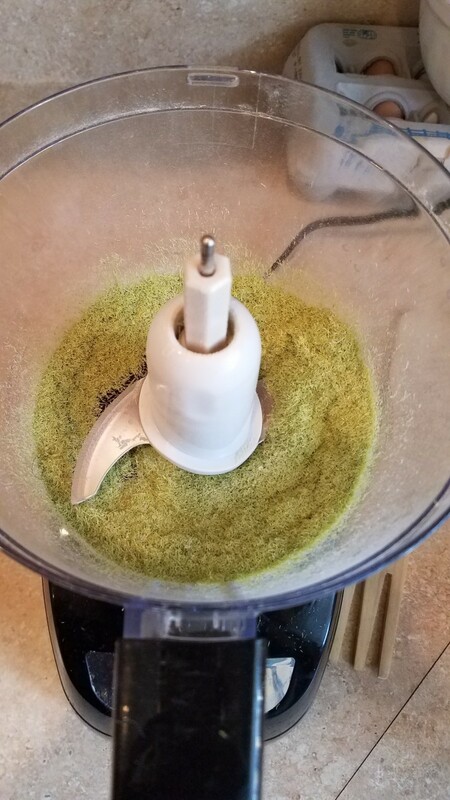 Place it all in your food processor bucket. And process until it's as tiny as you can get it. Pour it into a small glass jar. "Corn silk is used for bladder infections, inflammation of the urinary system, inflammation of the prostate, kidney stones, and bedwetting. 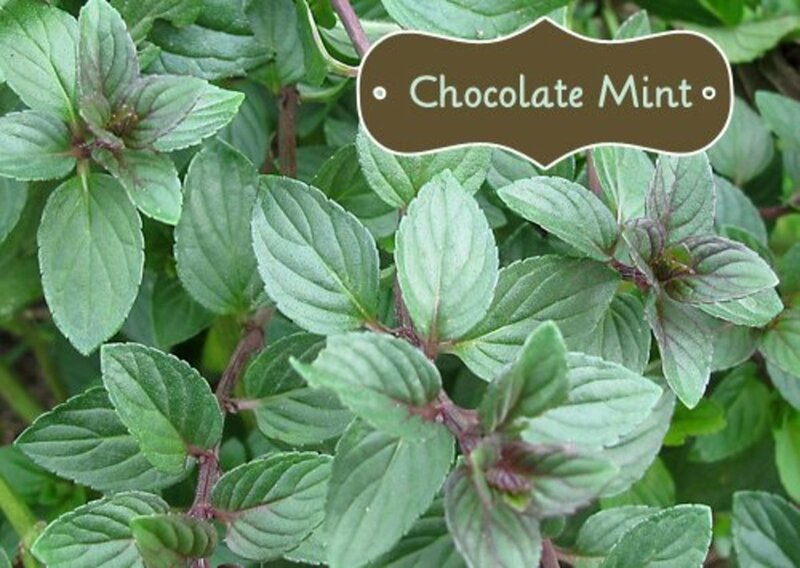 It is also used to treat congestive heart failure, diabetes, high blood pressure, fatigue, and high cholesterol levels." 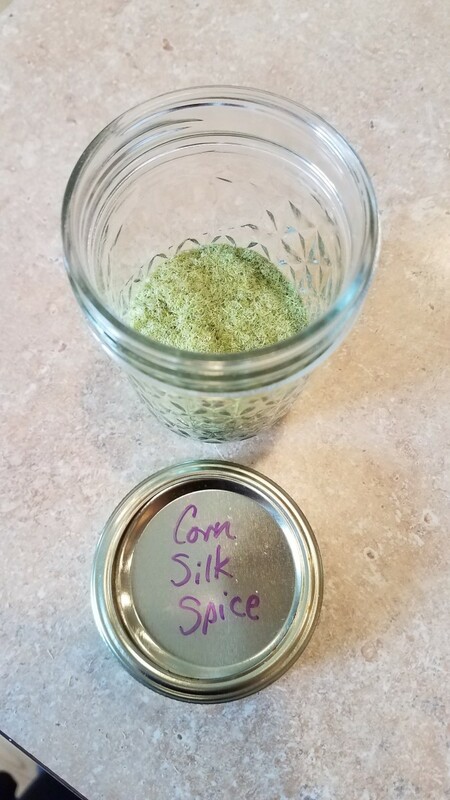 "Corn silk contains proteins, carbohydrates, vitamins, minerals, and fiber. 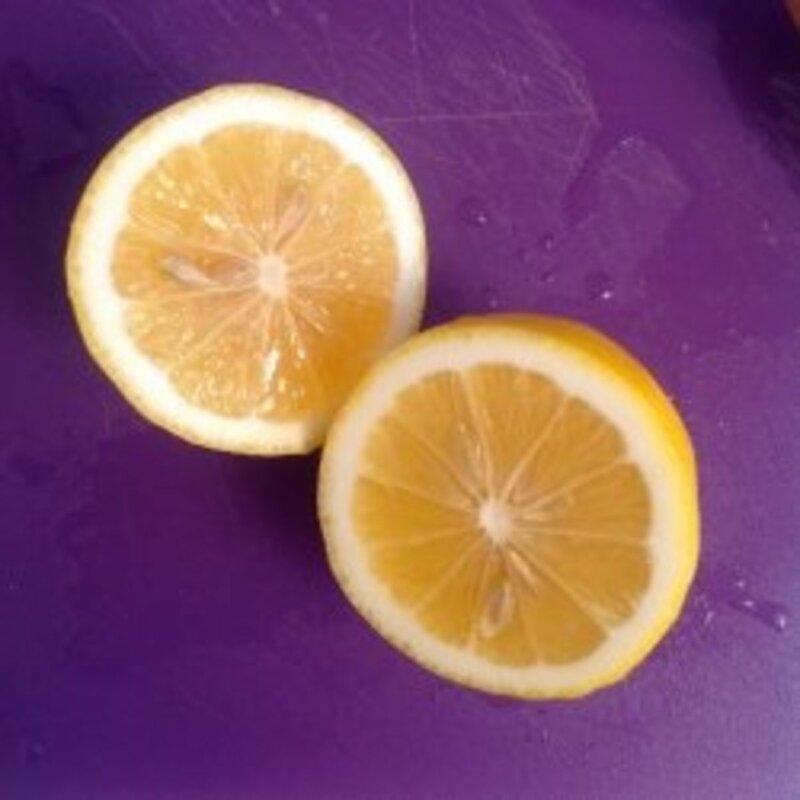 It also contains chemicals which might work like water pills (diuretics), and it might alter blood sugar levels, and help reduce inflammation." 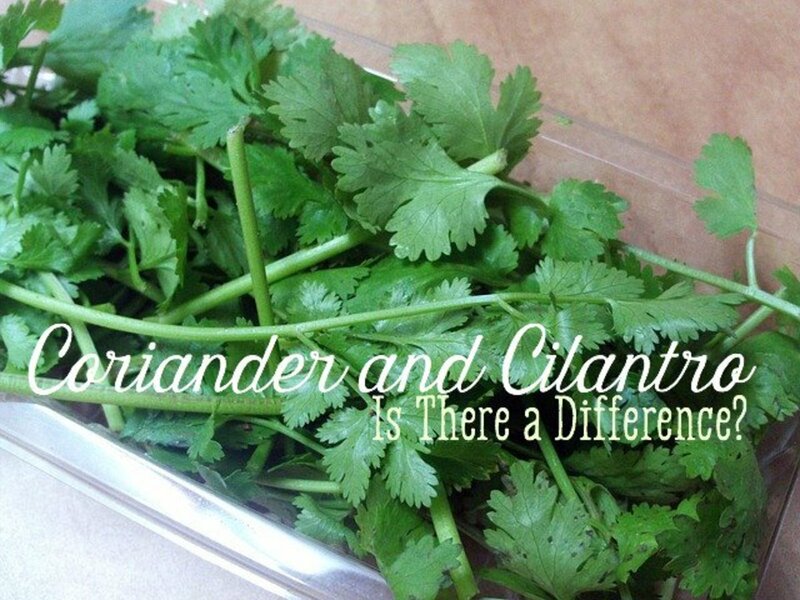 It is great for healing your bladder and urinary tract, and "it helps flush out excess water and waste from the body," which helps your body heal a number of diseases like congestive heart failure and kidney diseases. "Corn silk has an antioxidant named maysin that battles oxidative stress and prevents the onset of certain types of cancer. [And] a Korean study published in 2014 stated that maysin has immunity booster properties." It is said that soaking in a corn silk tea bath can help with skin pigmentation issues, balance the mineral levels in your body, and even help with eczema and edema. This method does not need boiling. Pour some water in a glass jar with a lid. Add the dried silk corn in the water. 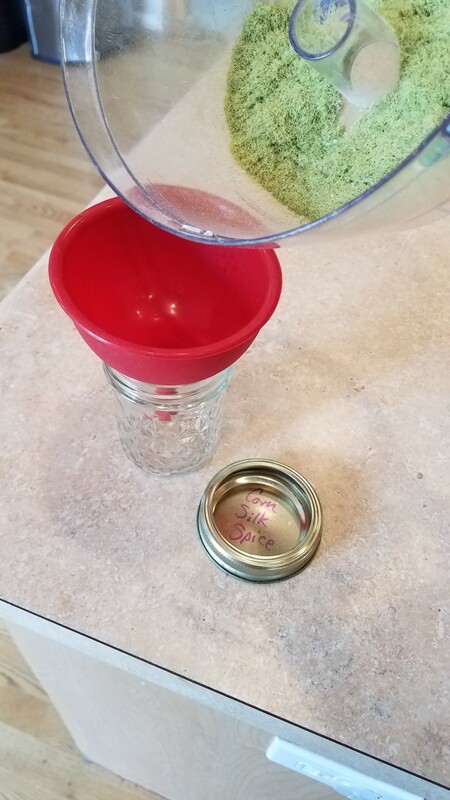 Put on the lid and then keep the jar out in the sun for an entire day. At the end of the day, bring the jar inside and add some honey to it and stir well. Keep it in the refrigerator and serve chilled. 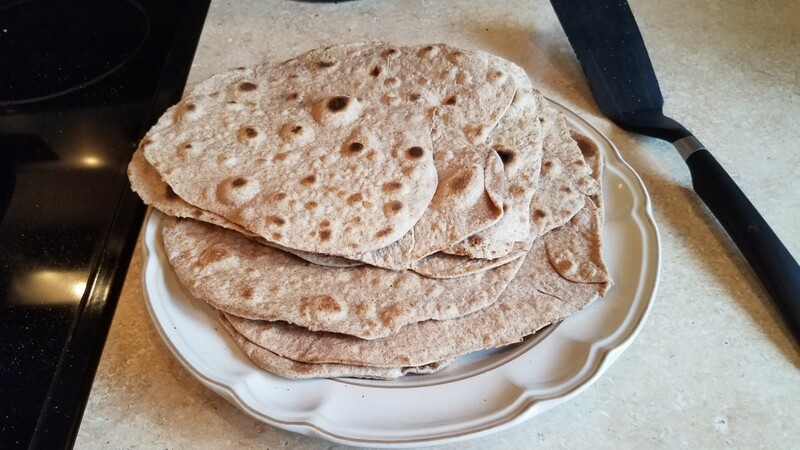 Honestly, it was super easy to make and I look forward to the health benefits from it that are to follow. 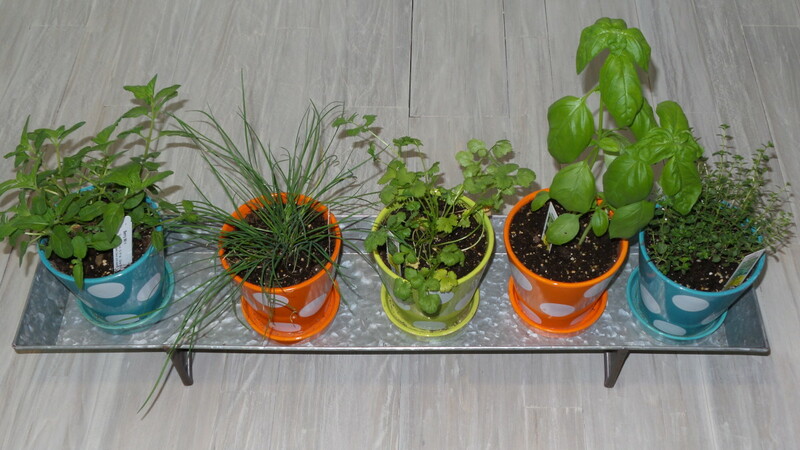 I also really like knowing that we are not wasting valuable parts of the plants we are purchasing and growing in our back yard this way. 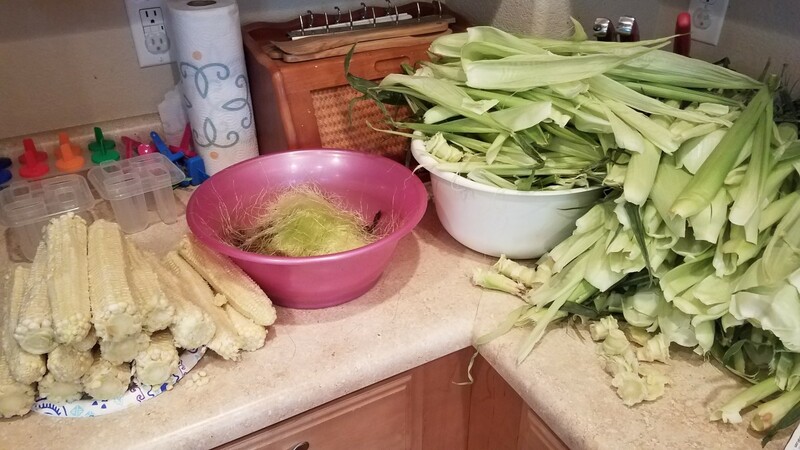 I will have a couple articles following on using vegetable scraps to make veggie broth, using the husks and corn cobs from these ears of corn to make tons of yummy corn broth, and even how to use items like banana peels, orange and lemon peels and peach and cherry pits in your household. Stay tuned for some awesome articles to come. Thanks. We will get on it. You definitely can! I like to can most of my items because they don't require any energy to store, I can put them down in the basement and keep them for as long as I'd like in storage, and they don't take up freezer space. But yes, you can certainly freeze your corn cobs as well as your kernels! I studied this rather than just reading. I am going to do the chilled honey one as I just love pure, raw, unfiltered and unpasteurized honey. Just wondering if I can freeze corn kernals? Store canned is way to salty/sodium.